After early doubts about the game going ahead the lunchtime kick off took place as scheduled as both teams lined up for what promised to be an absorbing 90 minutes. The hosts knew that a win would take them within two points of their opponents and in doing so set them up very nicely for the rest of the season. 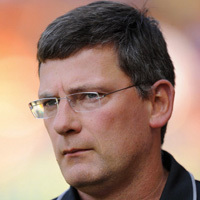 United however had not recorded a single victory over Celtic since August 1999. United pushed forward from the off and within a few minutes had a shout for a penalty as Myrie-Williams went down in the area after trying to ease past N’Guemo, but in this case the referee waved play on. Celtic’s first threat came from Andreas Hinkel as his purposeful run to the edge of the box ended with a decent shot from long range which United goalkeeper Nicky Weaver dealt with comfortably as he turned the ball away from goal low to his left. The next attempt from the visitors didn’t require any intervention from Weaver as a free kick from Barry Robson from long distance sailed over the bar. There was danger with just over a quarter of the game gone when McGeady burst down the left flank and cut the ball back to Fortune in a good position but thankfully for the Terrors the defence were quick to close the striker down and blocked the effort for a corner. Celtic again had a good free kick opportunity, this time after Robson was fouled Darren Dods, however despite the change in kick taker the end result was the same as Danny Fox lifted the ball over the bar. After 36 minutes a good cross from the right by McGeady could have ended up with a worse fate for United as McDonald took a fresh air swipe at the ball seven yards out in the centre of the goal. The home team were having some success in breaking down the flanks but the opportunities were limited due to a lack of space in a crowded Celtic penalty area. Weaver came to United’s rescue as half time approached when he did the right thing by turning away an inviting low cross from the right by Hinkel, with both McDonald and Fortune waiting to strike. After surviving another couple of dangerous set piece situations the Tangerines broke forward through Myrie-Williams who was chopped down by Glenn Loovens as he looked to put Prince Buaben clean through on goal, with the result being a free kick to United and a yellow card for Loovens. In following the pattern of the game however the home side couldn’t make the most of the chance as Paul Dixon sent a shot over the bar. Celtic had probably had the upper hand overall but with chances limited neither side could complain that the half had ended goalless. The most likely United had looked had been on the break with Myrie-Williams in particular looking dangerous. The impressive Myrie-Williams again eased through the Celtic midfield early after the interval and as room opened up for him he tried his luck from 25 yards out but unfortunately shot a yard or so wide of Zaluska’s left hand post. Weaver was again called into action shortly after as Caldwell lifted a cross to the back post where three Celtic players were waiting. The former Man City player closed down the angle quickly however and thwarted Fortune’s attempt to find the net. As the game started to liven up Buaben forced Zaluska into a great save as he won the ball in midfield and hit a thunderous right foot drive which was dipping into the net before he turned over the bar. From the corner United came within a whisker of opening the scoring as Dods headed Conway’s kick back across goal for Casalinuovo who headed the ball off the underside of the bar. Celtic sub Samaras then found some space on the right side of the box before squaring the ball across goal for McDonald who couldn’t quite connect but in any event the flag had been raised for offside. With 65 minutes played Casalinuovo had a couple of chances, firstly when Myrie-Williams broke into the box on the right and then after good work from Goodwillie created a chance to cross but on both occasions the Argentinean failed to make proper contact with the ball. After 70 minutes and with United looking the more likely to score there was a cruel twist of fate as Celtic broke up the other end opened the scoring. Robson evaded Dixon and then Dods who unfortunately tripped his former team mate just inside the area to concede a penalty. Barry Robson took the kick himself and sent Weaver the wrong way much to the anguish of the United fans. There was almost an immediate reply from the hosts as long term injury victim Jon Daly nearly scored with his first touch after coming on as sub but he couldn’t direct his header on target from three yards after Dods had nodded the ball into his path to set up a brilliant opportunity. The luck which had evaded them all afternoon in front of goal finally turned for United after 82 minutes as they scored a deserved equaliser. A perfectly delivered corner from the left from Danny Swanson was met superbly by Jon Daly who thundered a close range header home to level the game. With time almost up and the Terrors desperately pushing for a winning goal, Swanson forced Zaluska into a fine save from a long range free kick and from the resultant corner joy turned to ecstasy for United. Swanson again took the set-piece, playing it into the heart of the congested Celtic penalty box and Darren Dods towered above everyone else to crash an unstoppable header into the back of the net to spark wild celebrations both on and off the pitch. It turned out to be the last real action of the game with the full time whistle signaling a famous win for United - their first against Celtic in over eleven years! 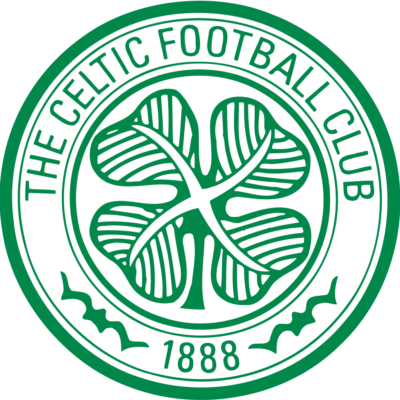 The visit of Celtic is another big game for us and another TV game and I would like to welcome Tony Mowbray and his side, and in particular our former players Lukasz Zaluska and Barry Robson. And I am hoping that we can perform at the same level as we did in the 45 minutes play that was possible against Rangers. I was realty pleased with the way the Lads applied themselves and even although we were trailing when the match was abandoned, I was still confident that we would have scored. Having fielded an attacking formation meant it was an open end-to-end affair, and had we been a Little bit more clinical in front of goat, we would have been at least Level, if not in front when the referee had no alternative but to bring proceedings to a halt because of the rain. To their credit, the players were disappointed that the match didn't finish. When I went in the dressing room to tell them of the abandonment, they were really sick, because they felt they were on top of their game and had a very good chance to get back into the match in the second half. So that told me something about their character and since then, they have realty got the bit between their teeth and I was really pleased with the way they played at Kilmamock. It was as good a performance by any team that have been in charge of at Rugby Park. True, we afforded Killie opportunities but that was a by-product of the team we put out. What pleased me most was the amount of good play we had, and most importantly managed to score two goals away from home which is never an easy thing to do in the SPL The secret now for all the lads is to try and hold their form for as long as possible and'if they do that we have chances of winning every match. Turning to this afternoon's match, much has been made of the injury problems that beset Celtic ahead of this game, having hit a spell where they are without several important players. But they have a very big squad and whoever comes in will be a player of high quality and pose us problems. Whatever team we face, it will be one that is coming here to win! But whatever injuries they have, they are no more than the ones with which we are having to contend. Indeed, we seem to have been fighting one lot of injuries after another since the start of the season. And ironically, just as we are starting to get people back, we have been hit by more. Just as Jon Daly, Kevin Smith and Keith Watson are on brink of a return, we have Lost the services of Garry Kenneth, though fortunately, his groin injury isn't as bad as was first feared and he is improving at a rapid rate of knots. However, we'll just have to wait and see how Long Scott Robertson's abductor injury keeps him out. Lee Wilkie and Fran Sandaza are still a bit away as is Mark Fotheringham who has a problem with his heels. On the credit side, Kevin Smith and Keith Watson got a game in a midweek bounce game with Rangers after their recent return to action. And it was only flu that kept Jon Daly out of that game. 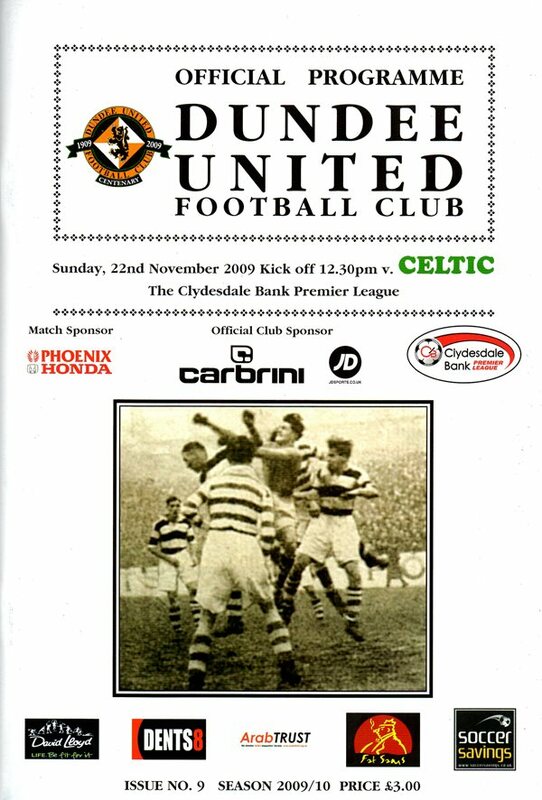 But it was good to see them all back against Dundee, and particularly for Jan Daly to get a goal. So there are a lot of things in the background that make me very optimistic for the months ahead. But it is trying to take three points from today s game against Celtic that is what is of immediate importance. 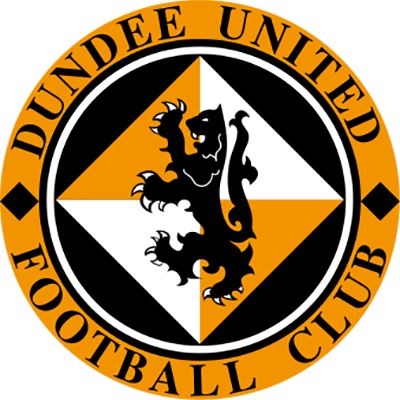 Whilst our away form has been excellent since our wins over Hearts and Falkirk, here at Tannadice, we disappointed against Motherwell and Hamilton. But hopefully the form shown against Rangers and Kilmarnock will be earned into todays game, because it is that Level of performance that will be required against Celtic if we are to register a long awaited win over them.